After years of listening and aspiring to many DJs and Musicians, Bradley; Also known as DJ BR4D, decided to develop his love of music and turn it into a career. 5 years on DJ BR4D can be found playing throughout the UK and Spain at venues within London, Hertfordshire, Essex and Marbella. All of DJ BR4D's mixes are hosted on Mixcloud. To keep up to date with DJ BR4D, follow him on Instagram. Grab yourself DJ BR4D merch below. 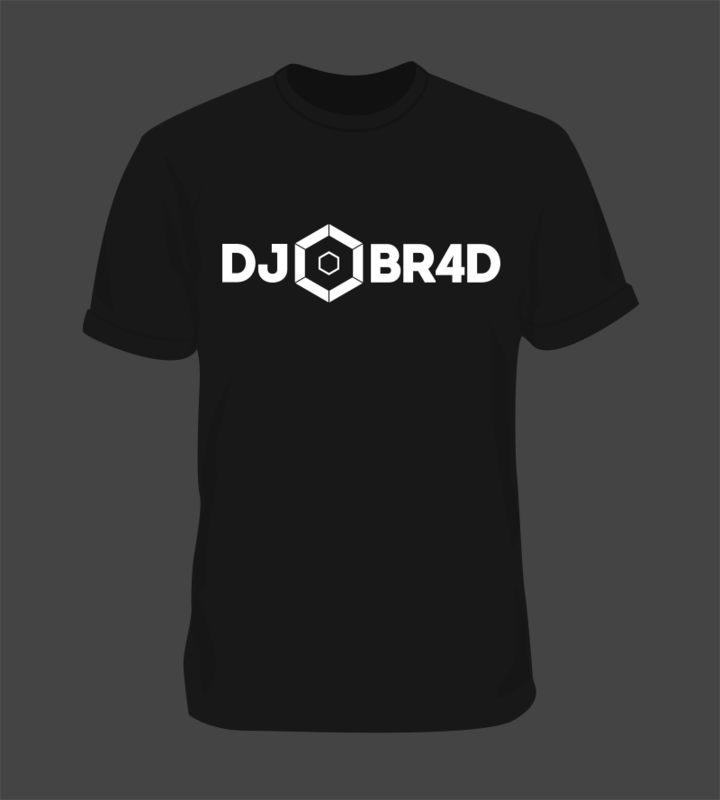 Black Slim Fit T-Shirt with printed DJ BR4D logo on the chest. Available in sizes Small through Extra Large. To keep in the loop with the latest mixes from DJ BR4D, as well as future events on the horizon, sign up below. We take privacy very seriously. Don't worry, we won't send you any spam.